Return of the Stylus - Why Have They Come Back? An old technology is making a comeback. Largely having fallen out of favor bout the time Palm stopped making the Tungsten T5, the stylus is once again becoming stylish. We’ve seen it accompanying a variety of smartdevices over the past few years, but no one category has stuck. Since the advent of the smartphone, no device has really needed, or used in a serious capacity, our old plastic pen-friend. Ever since the switch from resistive to capacitive screens was made, the technology has largely become obsolete. Now, less than two years into the Tablet epoch, we are already seeing the oft-panned stylus attempt a comeback. 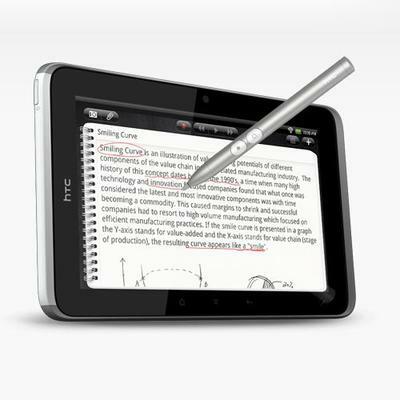 The first tablet I saw to use stylus was the HTC Flyer. As you may recall, the Flyer is a 7-inch Android tablet that sports a gigantic stylus that uses something called “scribe” technology. Scribe must mean a very lazy, bored person, because the only thing you can do with this scribe technology is doodle on snapshots and draw cartoonish pictures of your puppy. 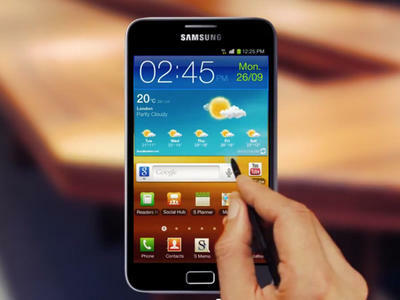 Another device to sport the stylus is the spec-heavy Galaxy Note. 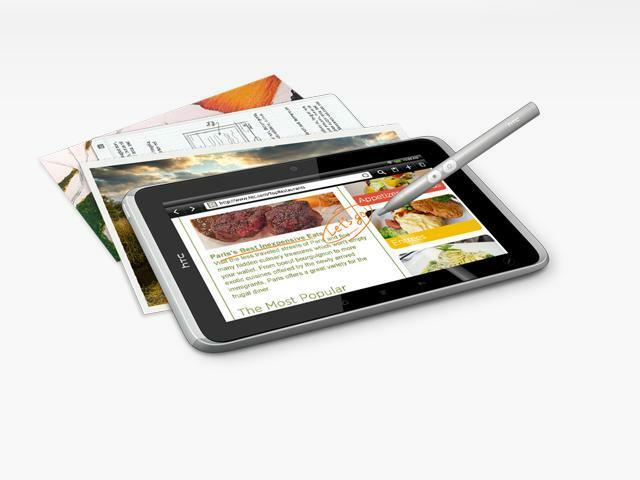 This diminutive tablet, if you can even call it that at 5.3-inch, makes use of a much slimmer stylus. The focus of both of these devices, ostensibly, is annotation or note taking. It attempts to fill a void on slate devices, but is it practical? If I were to simply rate the implementation of stlyi in these devices, I would give them failing grades. Perhaps that wouldn’t be fair, because of my own admission I have not used either (the Note isn’t even available yet), but I would argue that both have very serious flaws in their design. The Galaxy Note is much too small to be used effectively with a stylus, and the HTC Flyer defeats the whole simplicity of a tablet by making the stylus so gigantic that it won’t even fit inside the larger device. So your choice is either to write on the equivalent of a post-it-note, or lug around the equivalent of a separate 5lb metal pencil. Obviously, I think these particular designs are flawed, but even if the Flyer’s stylus was made insertable and the Galaxy Note stretched into the Galaxy Tab, would it matter? The point of the stylus is to be able to input text and annotate better than you could with either your fingers or with a virtual keyboard. On a certain level it makes sense: Fingers are chubby, can obscure the screen and make it difficult to select on-screen elements with precision. A stylus has a thinner profile and could theoretically offer greater precision. The ability to input text by handwriting recognition could be a more pleasant experience than the virtual keyboard, and the ability to annotate documents could be useful tool in the business world. Despite these advantages, however, I can think of very few use-cases that would necessitate a stylus. I used to think that in order for tablets to become viable media creation machines, a precision pointing tool for timeline placement would be necessary, but I have come to the conclusion that an implementation along the lines of the iTunes “scrubbing” technique would obsolete the need for this. Handwriting recognition software is spotty at best, and more detrimentally, is time consuming. Although less pleasurable than writing, virtual keyboards would be more accurate and would save time. Annotating documents with red circles and bright red text always looks fun, but how practical is it? How many times have you ever revised anything in this fashion? Worst of all, have you ever listened to anyone write extensively on a glass surface with a plastic pen? Excruciating. The one and very plausible case that I can think of where stylus compatibility would be a great boon for tablets would be with artists and photo editors. I belong to neither crowd, but to the translation seems obvious. Perhaps the real problem is that there is no software that currently makes the most of the technology. In order for us to see the real benefit of the hardware, the advent of more advanced software may be necessary. On the whole, it seems that the inclusion of a stylus would be more for convenience than necessity. I don’t know why the apparent interest in styluses is suddenly growing. Perhaps I’m too much of a rube to dream up their practical use, or not enough of a genius to predict what’s around the bend. Now if you’ll excuse me, I’m off to draw funny pictures of my poodle.